A dad blog that covers the drama, comedy and competition of youth sports in America. 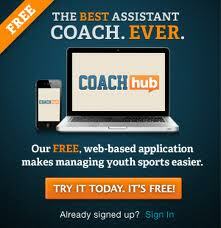 In very competitive select youth sports, many kids have a coach / coaching staff and they have a private trainer. What do you do when the two fundamentally disagree? There are two ways to handle this: The right way and the wrong way. I wrote about the wrong way yesterday. My son did not get off to a great start this year and he thought to himself, here we go again. The poor start was not surprising because he faced some of the best pitchers in the region in an elite pre-season tournament. It was not surprising because he was hitting in 28 degree temperatures. And it was not surprising because he was swinging violently and trying to pull everything to right field again. As a result, he was pulling off the ball and not making good contact. After the tough tournament, I talked to my son about his approach. I told him to stop swinging so violently and just try to put the big part of the bat on the ball and drive the ball the opposite way. During batting practice, the hitting coach for his new team (an ex-Mets AAA player) told Nic to go after it. Asked him why he was holding back. Nic had a right to be frustrated. After the practice, I pulled the head coach and the batting coach aside. I wanted to get on the same page with them. We came up with a plan and a message track that we all agreed was the best approach. In short, we agreed that Nic should work on seeing fast balls longer and hitting them up the middle or to the opposite field. 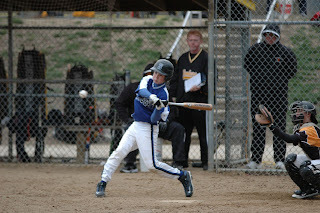 The next day, I took Nic to the batting cage and we worked on just that. The first 12 ball hitting session was a pull-fest and my son didn't hit many of the balls hard. He came out of the cage frustrated. I said, "Nic you haven't changed a thing. Wait, Wait, Wait then drive the ball up the middle or to left field." He went back in and worked on waiting. After a few rounds, it started to click. He left the batting cage facility with confidence that his old swing was coming back. Afterwards, I email the head coach and the hitting coach with an update on the great batting session. The head coach email back a supportive message. The hitting coach left a VM on my son's phone reiterating the message track, some confidence building comments about quickness in his swing that will serve him well now, high school and perhaps beyond. Great words to hear from a guy who has had success in baseball. Last night, Nic went 3 for 4. He hit 3 balls to the opposite field and pulled an offspeed pitch into the gap in right center field. A consistent message is the key. If a kid is getting conflicting instructions from three different sources (coach, dad and trainer) than confusion will set in. Not only that, but no matter what the kid does, two of the three sources will not be happy. The Sportsmanship Guy Blog is now hosted by Wordpress at thesportsmanshipguy.com. All posts, past and present, are on this new site. C'mon over and join us! Taking You Beyond The Game! More numbers are released showing fewer kids playing the sport and more parents supporting youth tackle football bans. Youth Volleyball: Why are the girl's volleyball shorts so short? Limitation Republishing: You cannot republish the entire post without prior written consent. Link Back : Provide a link back to the original post from the excerpt you are using. Commercial Use - You cannot use Statsdad content or sell the content for commercial purposes. No Derivative Works -You may not alter, transform, or add to Statsdad content without prior written consent.